Alison empowers others to connect to their authentic selves and to experience healing utilizing the wisdom and honesty of the horse. 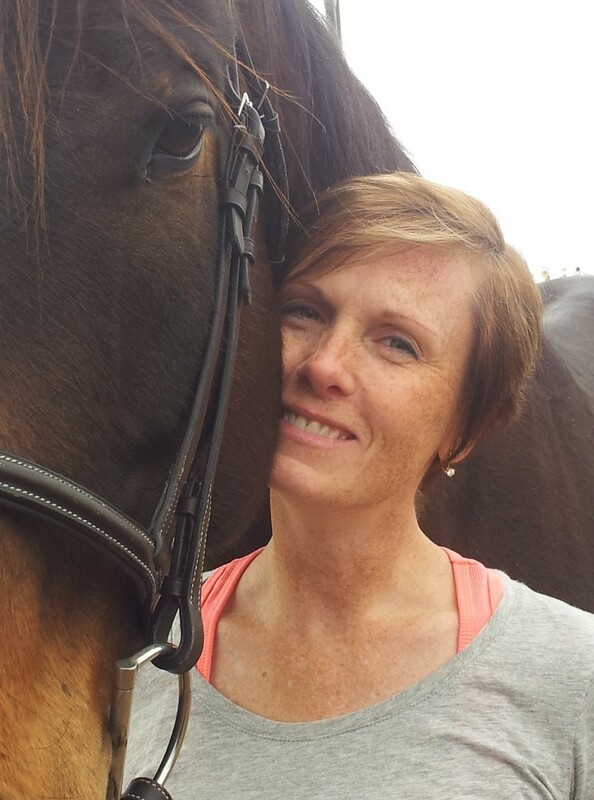 Currently based in the Barrie area, she invites you to discover your authenticity through partnering with horses, and to share the beauty of the horse-human relationship through her business, Horse to Heart. Alison’s fascination with horses began at an early age. As a young girl, she devoured every book about horses she could get her hands on, and her bedroom walls were plastered with pictures of horses. Around the age of 10 she started taking weekly riding lessons. A few years later, her family moved to a farm, and began filling the barn with a variety of farm animals. This is when Alison became the proud owner of her first horse, a beautiful purebred Arabian mare named Karell, and thus began one of the most significant love affairs of her life. Throughout the challenging teen years, Karell was an ever-present grounding influence in Alison’s life. Together they enjoyed adventures in the show ring, but the absolute best adventures were shared while riding on forest trails, through grassy fields, and over countless miles of country roads. Alison’s connection to horses continued to deepen until career, marriage, and children intervened, causing her to sell her horse and to focus on other things for a while. Being a compassionate, caring, and gentle person, Alison always had a desire to work with people in a helping profession. After high school, Alison attended Canadore College in North Bay, and graduated from the Certified Dental Assisting Program. She then went on to become a Registered Dental Hygienist, and worked as a dental hygienist in private practice for 24 years. Raising two beautiful daughters has been one of the greatest joys of Alison’s life; she embraced motherhood whole-heartedly. But during those years, challenges came knocking at Alison’s door in the form of divorce, a subsequent toxic relationship, and then the big life-changer: a breast cancer diagnosis in 2007. She began an intense healing journey at that point, and embraced many alternative therapies and energy-healing modalities such as Traditional Chinese medicine & acupuncture, mindfulness meditation, herbal remedies, osteopathy, EFT Tapping, BodyTalk, and Reiki. Beginning her own intensive training in energy healing in 2013, Alison became certified up to the Third Degree of The Radiance Technique (Authentic Reiki) by October 2017. She uses The Radiance Technique and EFT Tapping on herself regularly, and firmly believes that these gentle yet effective energy-healing methods have played a huge role in her return to health. She lovingly embraces her empathic and intuitive character, no longer feeling ‘different’ or ‘weird’ because of it. Alison’s journey through her “dark night of the soul” taught her many precious life lessons for which she feels so very grateful. Her deeply buried love of horses was re-ignited by her oldest daughter’s blossoming affection for ‘all things horse’…and in early 2014, they became the lucky caretakers of a handsome Thoroughbred gelding named Mylo. Being surrounded by Mylo’s magnificent energy and grounding presence breathed a spark of passion back into Alison’s life which had been missing for a very long time. The deep sense of peace, calmness, and joy that she felt around Mylo caused a yearning within her for a deeper connection. It is her strong conviction that horses have provided the most recent piece to her healing journey, and she is passionate about combining healing modalities with horses for others; she feels that matching the right therapy to the person is crucial to their healing. Contemplating a career change, Alison investigated many different possibilities, but was eventually drawn to Horse Spirit Connections in Tottenham, where she was hooked after a single FEEL session! She followed her heart and enrolled in the FEEL (Facilitated Equine Experiential Learning) Program at Horse Spirit Connections in March 2015, and the Advanced FEEL Practitioner program in June 2018. She has also obtained Level 1 of Chris Irwin’s Equine Assisted Personal Development Program. Her vision is to work with all age groups, with a special focus on breast cancer survivors, trauma survivors, and people with PTSD providing a safe, nurturing environment for self-discovery and the exploration of healing through the hearts of horses.